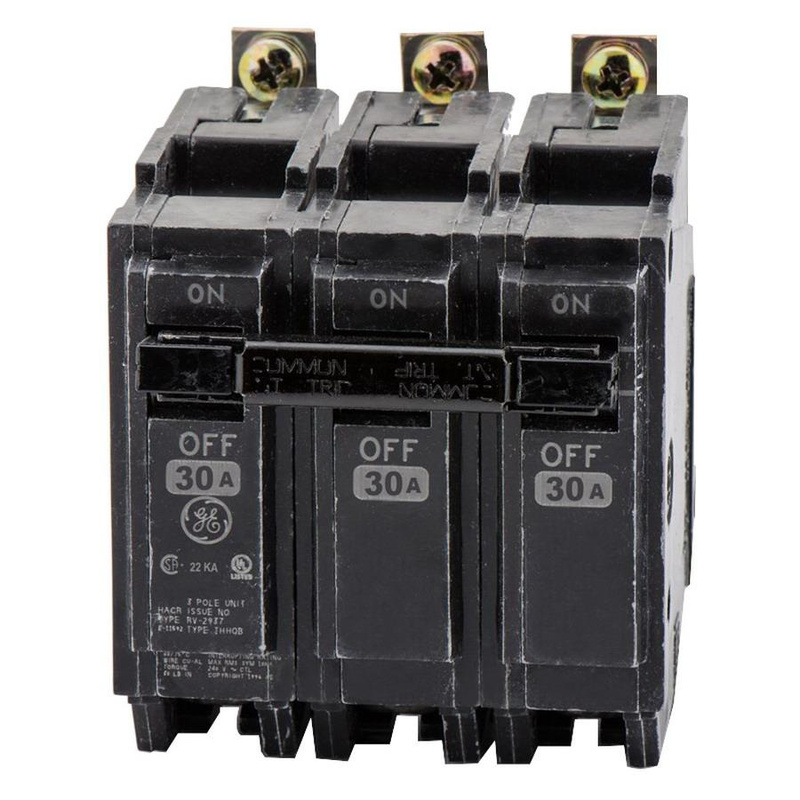 GE Industrial Type THHQB 3-Pole miniature circuit breaker is rated at 30-Amps and 240-Volt AC. It has interrupt rating of 22-Kilo-Amps at 240-Volt AC. Circuit breaker has load lugs connection. It measures 3-Inch x 2-3/8-Inch x 3-9/32-Inch. Bolt-on mountable circuit breaker offers non-interchangeable, LI, internal common, fixed thermal-magnetic type trip that safeguards device against thermal overloads, short-circuits and ground faults. It comes with Q-Line frame and offers guaranteed performance in reverse feed application. HACR rated circuit breaker accommodates 14 - 8-AWG copper wire and 12 - 8-AWG aluminum wire. It is perfect for use on AQ series panelboards in residential and commercial applications. Circuit breaker is UL listed.